The second generation Suzuki Jimny was sold in the USA as the Suzuki Samurai, but today's next feature wasn't sold new in the US, but has made the as an old man. As such, it comes with a few features that may or may not get you excited. 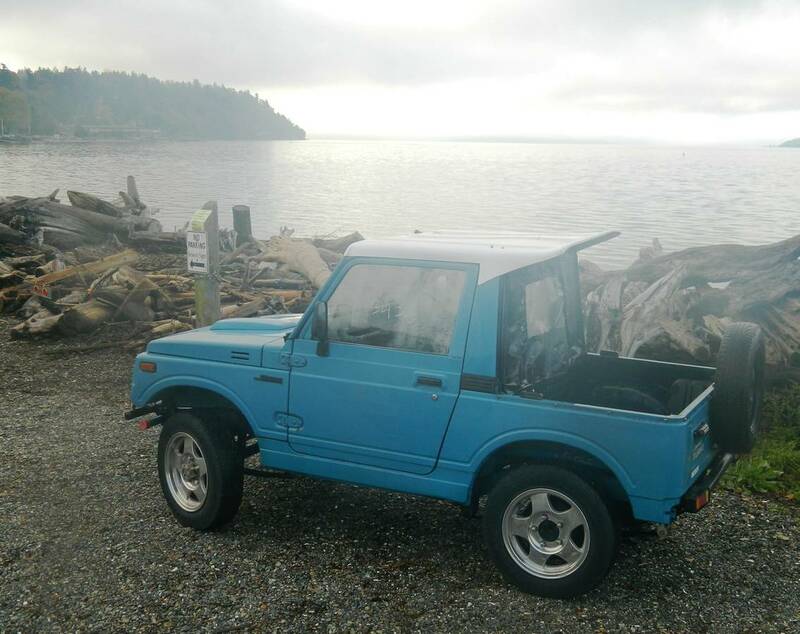 Find this 1989 Suzuki Jimny offered for $3,995 in Seattle, WA via craigslist. Tip from JB1025. 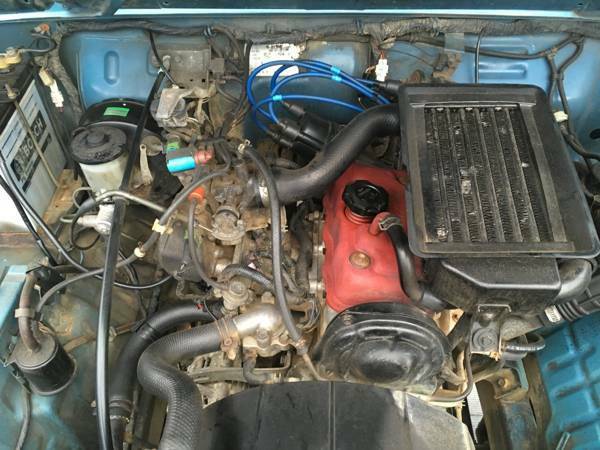 The US spec Samurai was no Nissan GTR with its 1.3 liter 4-banger putting out 63 horsepower, but this is an SJ30 Jimny which is equipped with an engine that meets Japan's Kei car regulations. Prepare to be slow. The 550cc inline-3 pushes out 52 horsepower with the aide of an intercooled turbocharger setup -- which isn't actually as bad as you might expect. The little Jimny is well known for its offroad prowess and this one has aftermarket locking hubs (Warn hubs...not worn hubs -- FYI) and a lift kit. 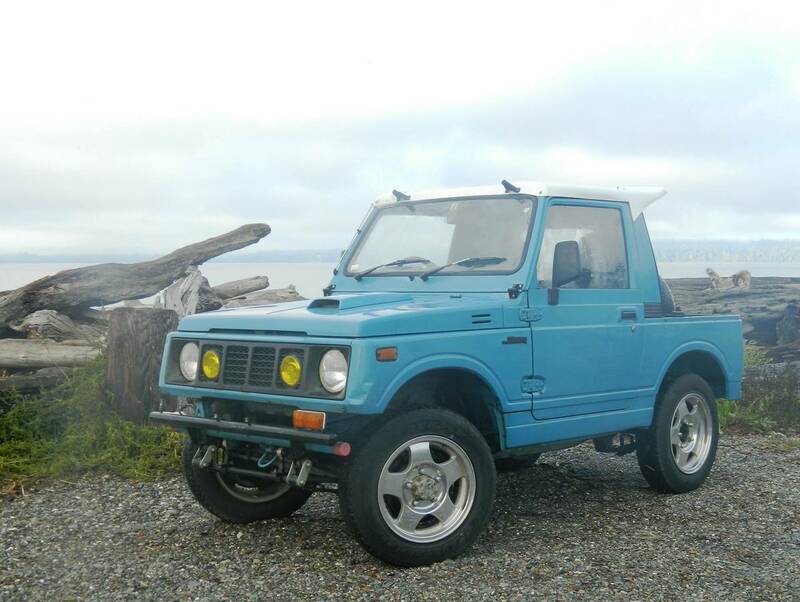 Considering what US market Sammies are going for these days, it's making a lot of sense to buy an imported Jimny. There's an outfit in Christiansburg, VA who imports tons of them and actually charges reasonsable prices.